Why is Greenland “green”? What happened when the Thames froze over? Number of pages: 272 pp. And how did the divine winds that sank Kublai Khan’s fleet reappear in the Second World War? To conquer the world you need more than the back-up of the world’s strongest army or the biggest financial power: you need to rule the weather. None of the past empires have been able to do that – on the contrary, weather has caused many of them to decline or fall. Russian winter halted the offensives of Charles XII of Sweden, Napoleon, and Hitler. A storm defeated the Spanish Armada. The Little Ice Age plunged Europe into chaos. The El Niño phenomenon speeded the collapse of the Mayan civilization. And what do you think happened with the Neanderthals? The Weather that Changed the World is narrative nonfiction at its best. 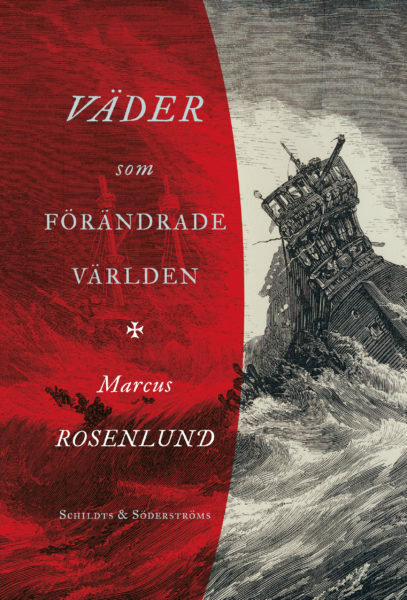 Science journalist Marcus Rosenlund takes readers through millennia revealing how weather has shaped our world and our history into what it is today. “January 1362. The Rungholt harbour town in the Danish Duchy of Schleswig – and many villages around it – are about to disappear from the map. In the literal sense. The unknown number of people, up to 100,000 according to some sources, dies of freezing cold, black water which the closing hurricane is pushing forward. The storm will completely redraw the borders of the Northern shoreline.